Ah, a scorned fan. We’ve all been there, but this one decided to keep a cool head and sat down to write a report on the problem at hand. Instead of, you know, venting in an Internet forum and calling people (and companies) names. And what a report it is. 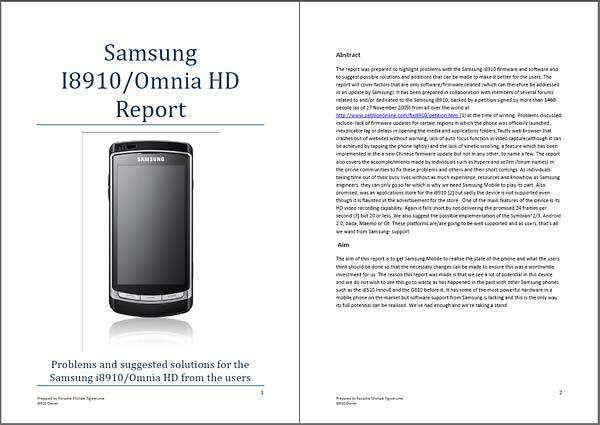 The report is authored by Panashe Michael Ngwerume and is titled “Samsung i8910 OmniaHD Report – Problems and suggested solutions for the Samsung i8910/Omnia HD from the users”. At first sight it’s very impressive, seeming almost professionally made. Seriously, this thing starts with an abstract and everything. Then the report proceeds with a lengthy table of contents despite the report being only 25 pages long. Uh, 25 (!) pages… From the table of contents it becomes clear that the report covers everything from the current problems of the Samsung i8910 OmniaHD to proposed solutions and new features. But when you read through it, you can sense the feelings of a disappointed fan seep through. There are quite a few “it would be awesome if…” paragraphs and even some mistakes – like stating the “Nokia is dropping Symbian rumor”, which has been denied. Still, the list of problems is quite comprehensive and it’s not just tilting at windmills – for some of the problems the author mentions the efforts of hackers, which have managed to improve things like tweaking the settings to get better still images, showing that it’s possible. The report is a good read, despite the small amounts of fanboyism and (at times naive) wishful thinking that show through at times. 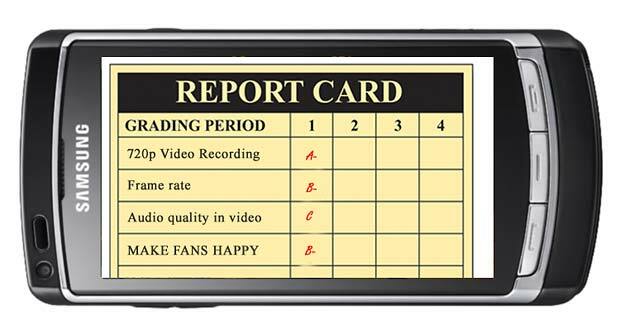 And at least it should let Samsung i8910 OmniaHD owners know they’re not alone in their disappointment with some of the downfalls of the handset.